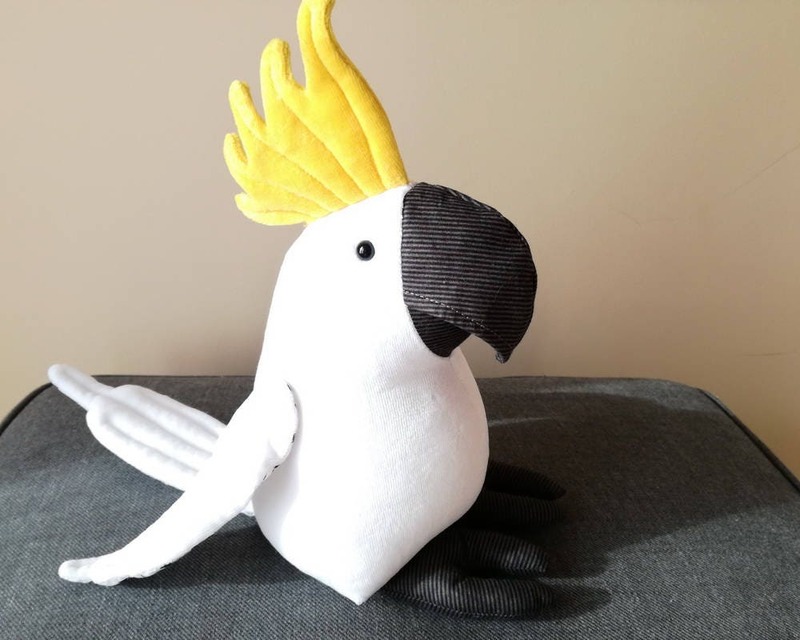 My Cockatoo is made of snowy white plush. He has a huge golden crest. Inner wings and inner tail are made of patterned white canvas. 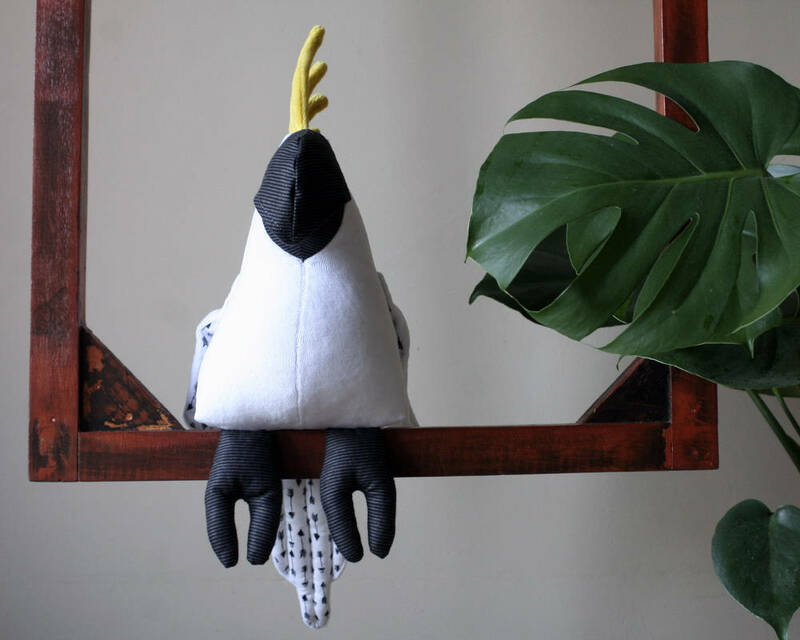 Feet and beak are made of grey canvas. 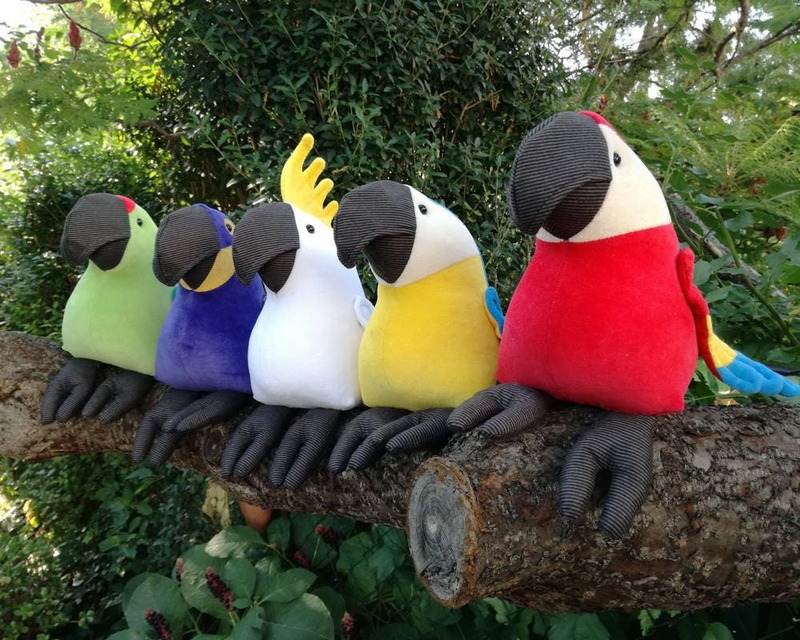 Outer materials are Oeko Tex Standard 100 certified, safe and suitable for toys. Stuffing material is a high quality siliconized polyfill which keeps its shape and volume for a long lifetime. Eyes are made of safety buttons! 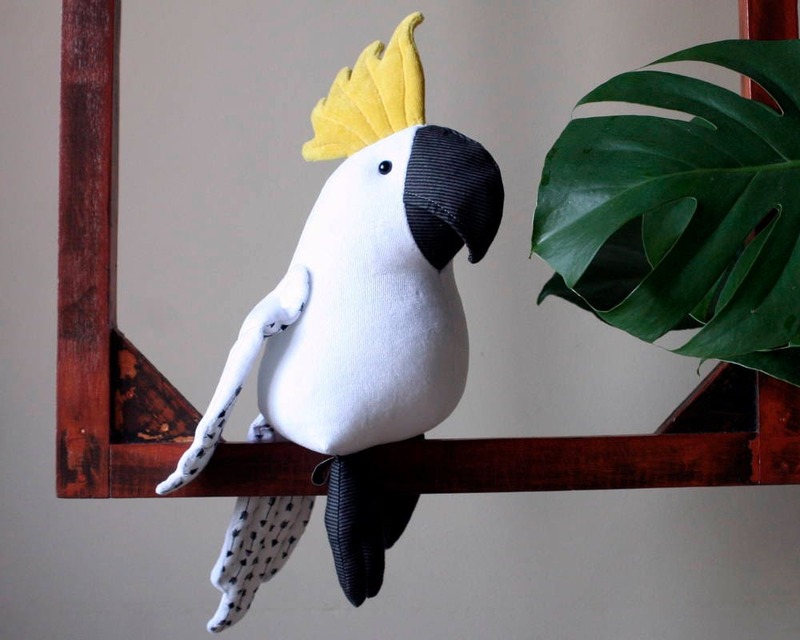 The Cockatoo is machine washable on low temperature using mild detergent and can be tumble dried. Please notice that the body is snow white and can easily be dirty. I am afraid it is not a children's toy. 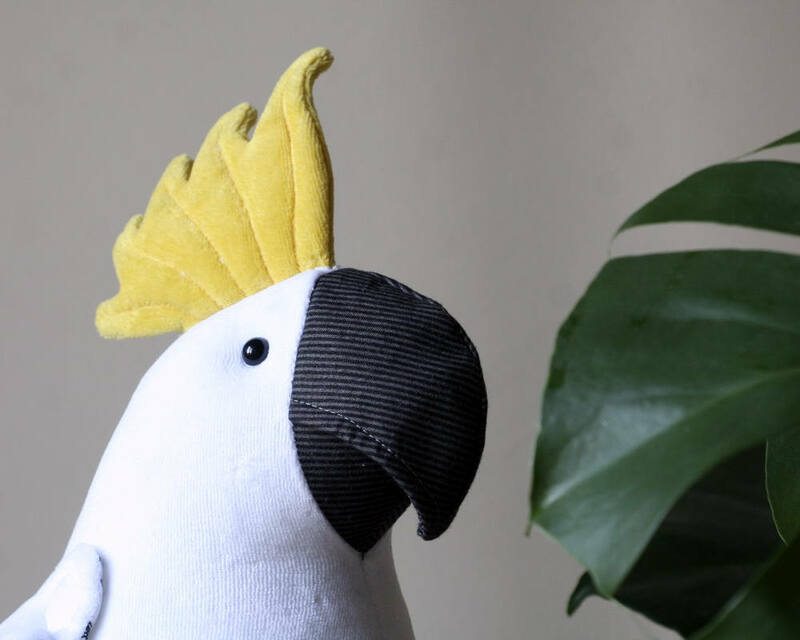 The sulphur-crested cockatoo (Cacatua galerita) is a relatively large white cockatoo found in wooded habitats in Australia and New Guinea and some of the islands of Indonesia. They can be locally very numerous, leading to them sometimes being considered pests. 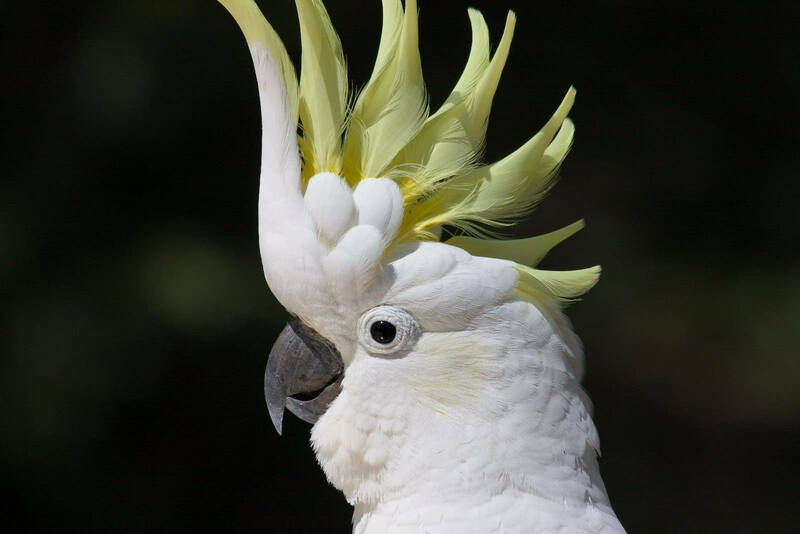 A highly intelligent bird, they are well known in aviculture, although they can be demanding pets. Super duper cute! I couldn't be more pleased!